Healthy bacteria are necessary to break down food and absorb nutrients. 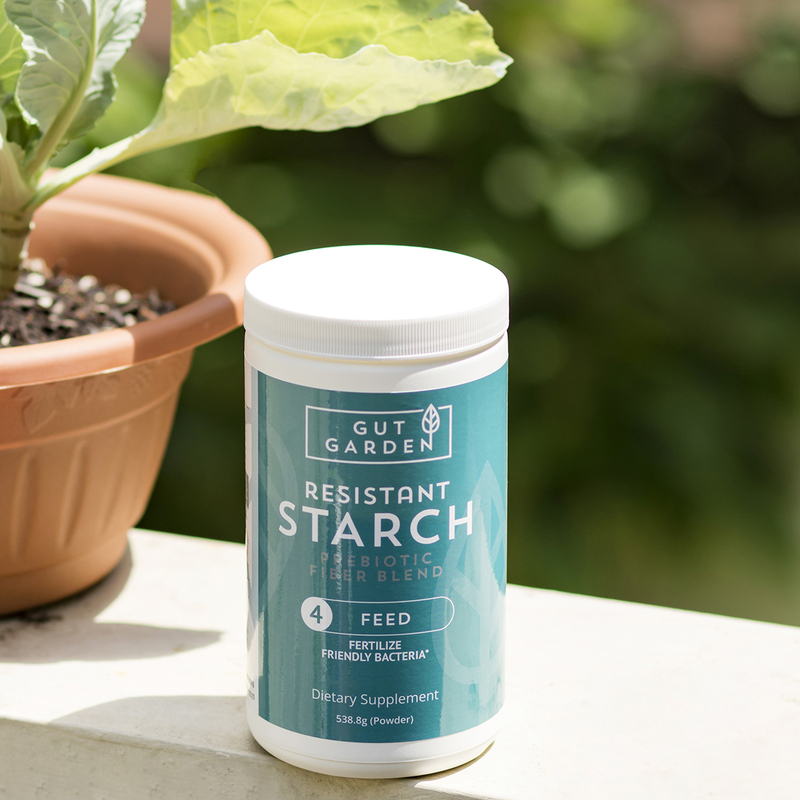 Gut Garden's Resistant Starch Prebiotic Fiber Blend promotes daily relief from gas, bloating, constipation and diarrhea. Our Resistant Starch includes 13 grams of fiber per serving, 12 grams of unmodified potato starch and contains 4 complete soluble fibers to support bacterial diversity - Glucomannan, Acacia Senegal, Chicory Root Inulin and Larch Arabinogalactan. Gut Garden's Resistant Starch Prebiotic Fiber Blend is free of flavors, fillers and preservatives. A prebiotic, acacia fiber has been shown to dramatically increase populations of good bacteria by serving as food for these friendly bugs. 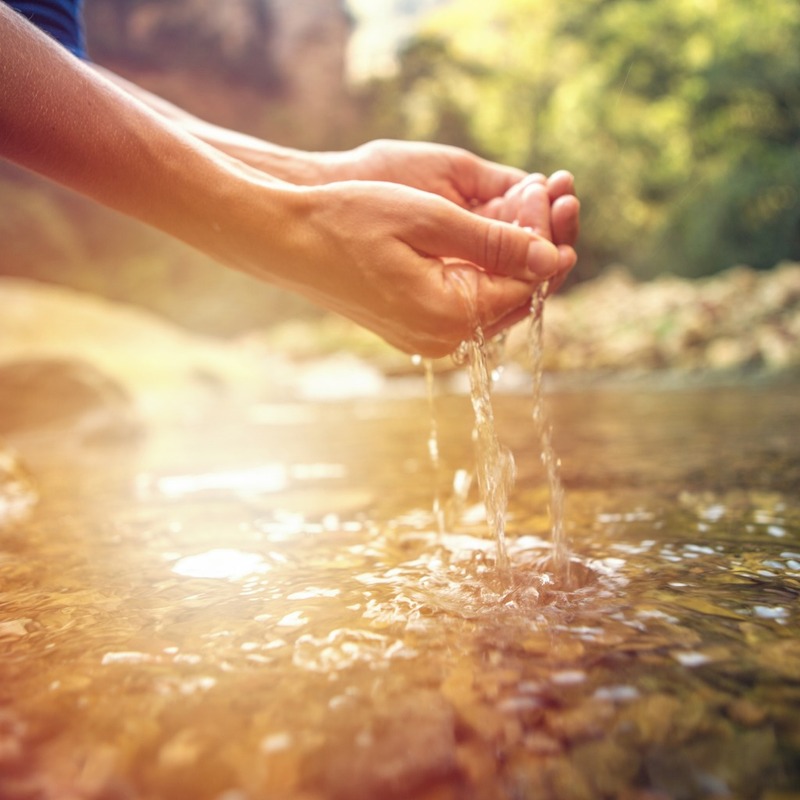 In one study, a daily dose for just four weeks led to significantly higher numbers of Bifidobacteria and Lactobacilli. A 2012 study on 120 females found that daily acacia reduced BMI and body fat percentage after just 6 weeks. 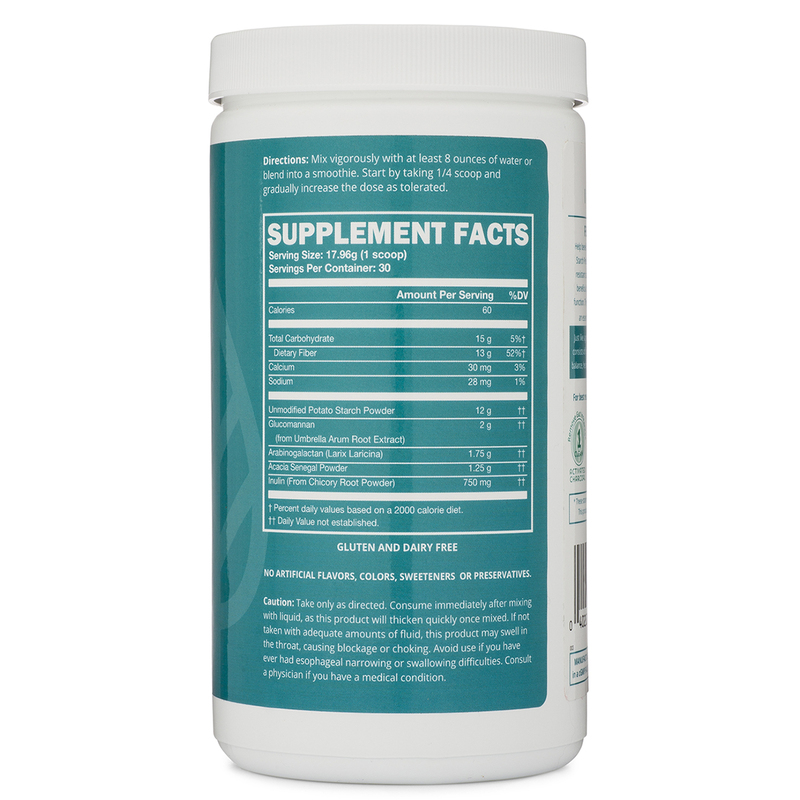 Helps protect the gut barrier.